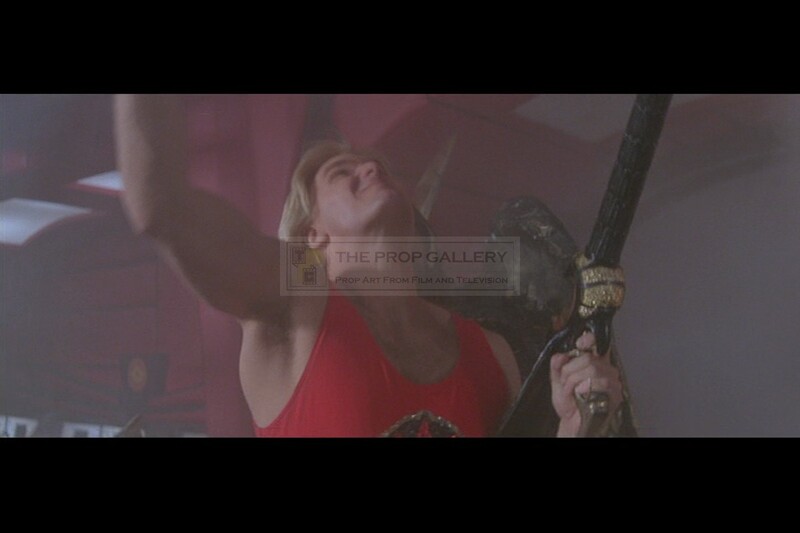 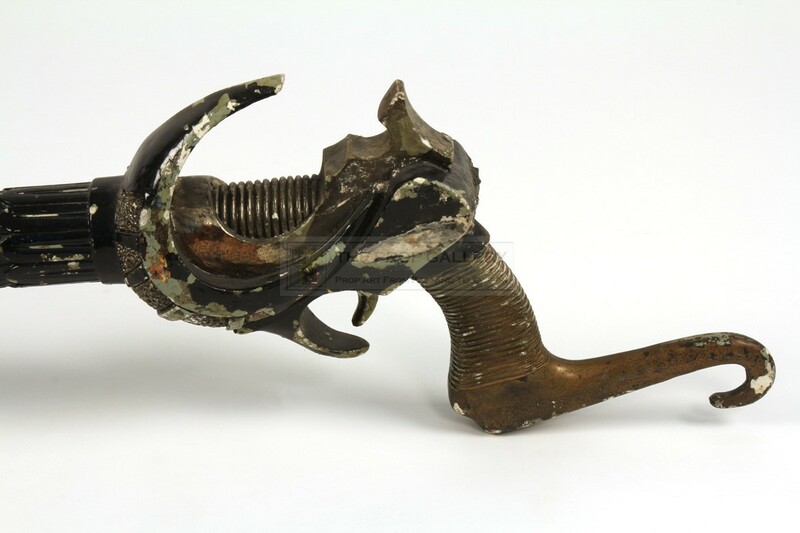 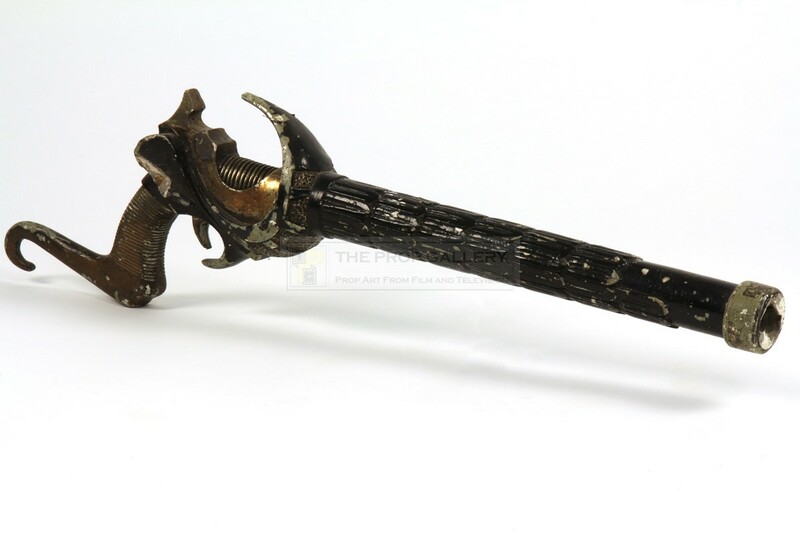 An original prop used in the production of Flash Gordon, the 1980 science fiction picture directed by Mike Hodges. 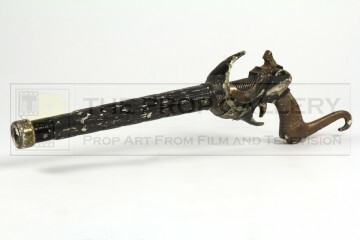 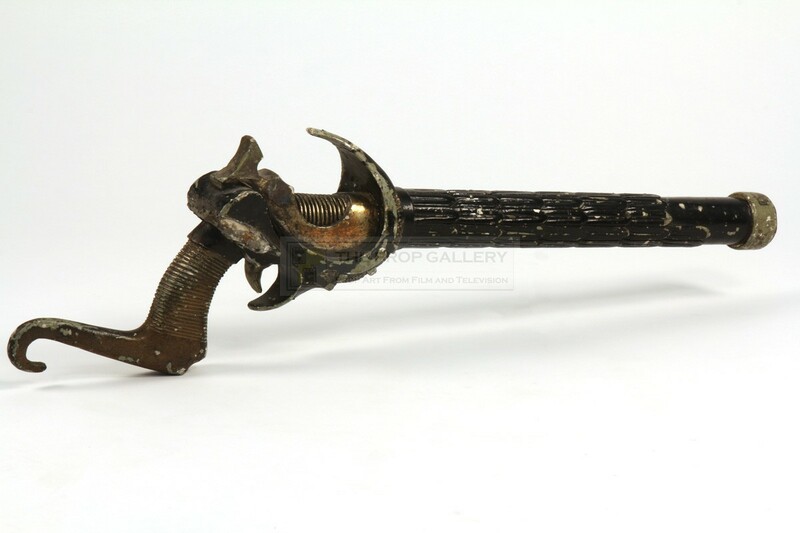 This is an original rifle as seen used by the Hawkmen in various scenes of the movie, constructed from fibreglass the weapon features a distinctive design to include sculpted feathers to the underside of the barrel and a decorative grip finished in the original black and gold paint. 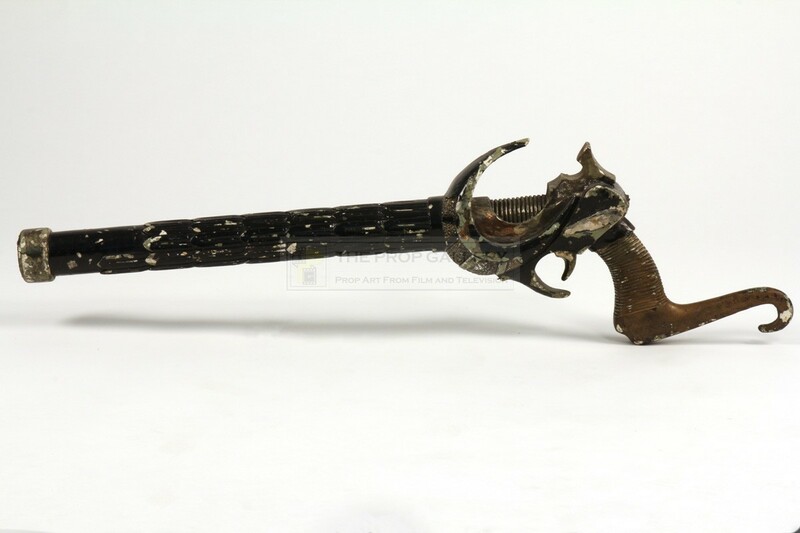 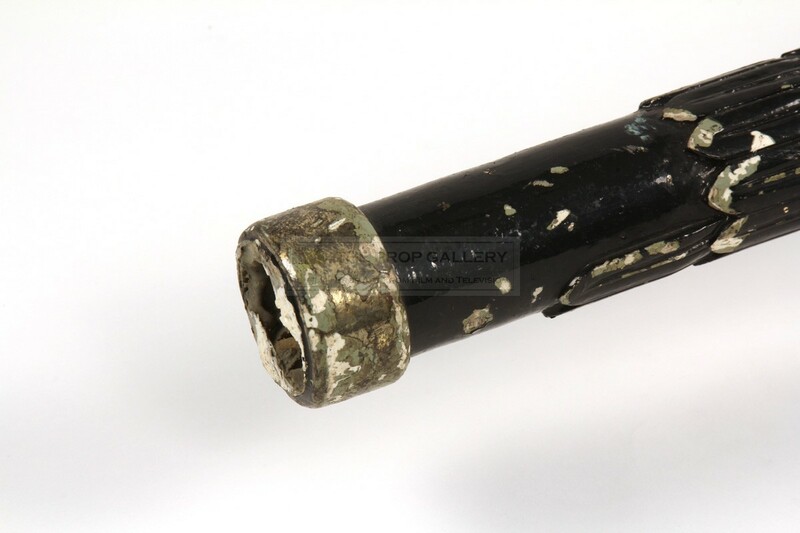 The prop measures an impressive 29" long and remains in good vintage and used condition with extensive paint chipping and some damage to include a missing hand guard to the rear and a small part from the end of the barrel, a rare example of a fibreglass Hawkman rifle which clearly saw heavy use during the production. 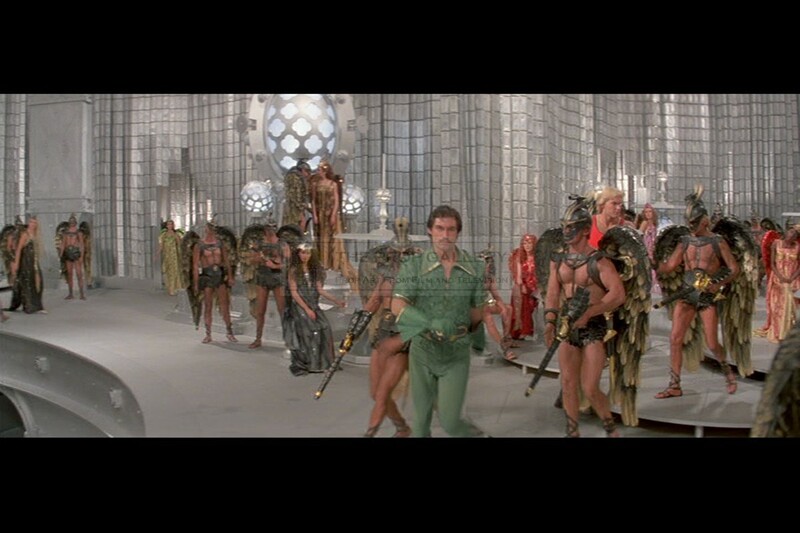 A highly displayable artefact from this cult science fiction classic.